This feature coincides with the launch of Women Behind the Wine, our initiative to celebrate our female Fine Wine leaders and support aspiring luminaries. Brenner’s organization has partnered with Wine Dialogues in support of the scholarship awards that will culminate this year’s program. Learn more here. Deborah Brenner has pursued one of the most determined, admirable and deeply personal journeys in the modern world of wine. In an industry often stiflingly steeped in tradition, she bravely forged her own path and made it her professional mission to help others do the same. 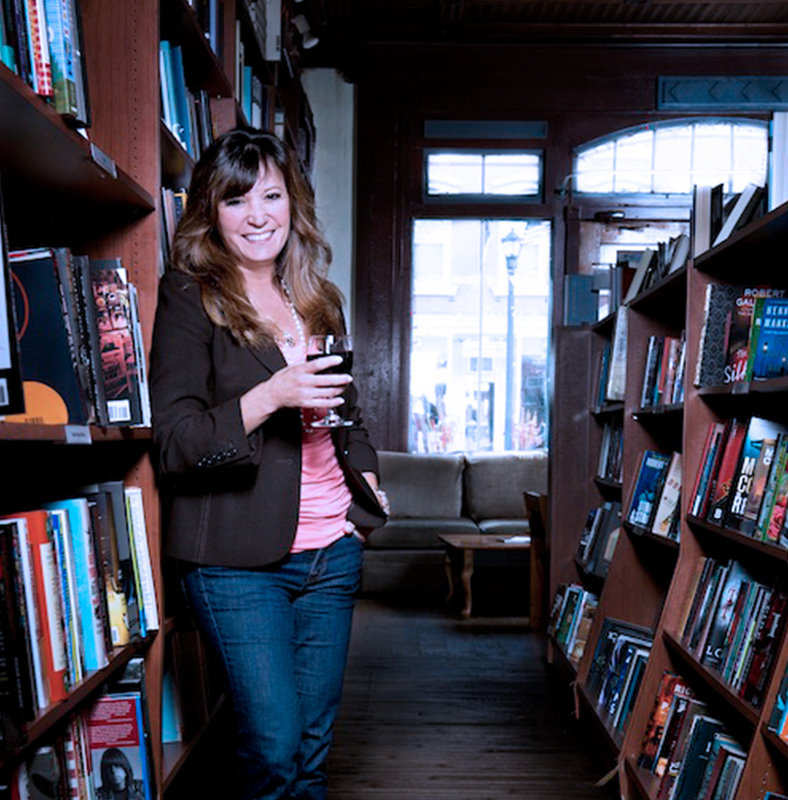 Brenner is the Founder and CEO of Women of the Vine & Spirits, a rapidly growing membership-based organization that advocates for the advancement of women in the alcoholic beverage industry. In recognition of her work in raising awareness to impact positive change, Wine Enthusiast recently honored Brenner with a Wine Star Award, naming her Social Visionary of the Year in 2018. Brenner’s journey in the wine industry began with a book, Women of the Vine: Inside the World of Women Who Make, Taste, and Enjoy Wine, published in 2006. Brenner chronicled an impressive cast of unsung heroines – winemakers, educators and writers – whose stories she was eager and, from her own experiences, more than able to tell. Prior to her adventures in wine, Brenner spent the early stages of her career in a highly competitive and overwhelmingly male tech industry. But the achievements and accolades were merely material. The unwelcoming environment started taking its toll. “As I got older, in my early thirties, I just got so disenchanted… every day was like a battle. And I truly felt that I could not bring my full, authentic self to work,” she said. Disillusioned, she quit her job. Following her lifelong passions for travel, agriculture and cuisine, she ventured to Napa and Sonoma to figure out her next move. It was here that Brenner recognized a trend she was all too familiar with. The publication of Women of the Vine in 2006 launched Brenner even deeper into the world of wine and the women she wrote about. The book even made Wine Spectator’s critical reading list the next year. Brenner, inspired by the momentum, decided to try her hand at creating her own label. It was a painful endeavor personally, professionally and financially. But the passion that led her to do it never faded. That conference was the inaugural Women of the Vine & Spirits Global Symposium. Building on the event’s immediate success, Brenner has since scaled it to a full-fledged membership-based organization. Today, Women of the Vine & Spirits is a vast global network, an inclusive alliance as committed and determined as ever. 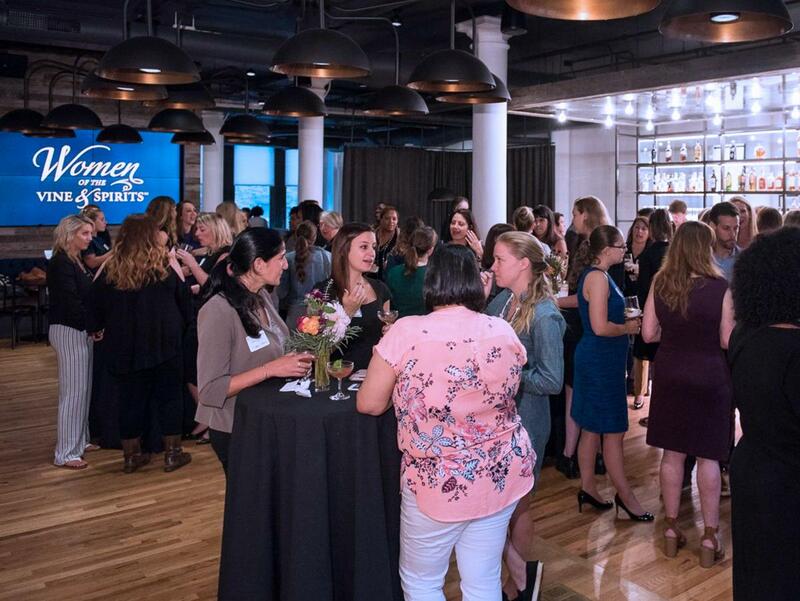 And as a third-party organization, Women of the Vine & Spirits can do just that, share success stories and pain points among its corporate members anonymously to help improve the larger industry landscape. Brenner also stressed the importance of access to educational resources, a crucial component of her organization and the healthy development of its growing member base. Women of the Vine & Spirits offers a broad range of training resources, partnering with educational organizations like Wine & Spirit Education Trust. But it’s not just the resources. Tools mean little without teachers. She encouraged retail and restaurant operators to be proactive with their female employees and colleagues. Take steps to raise awareness so they can take advantage of the benefits available to them. She also advocated for mentorship and recommends from personal experience to have not just one mentor, but many. When asked what advice she’d give to those entering the industry and looking to expand their experience within it, she circled back on the importance of honest personal evaluation. “Look at your skillset and then think about the lifestyle that you are seeking that will make you thrive,” she said. One thing is clear: Brenner recognizes that your inner voice is often the clearest connection to the outside world. It can lead to positive change in unexpectedly profound ways. Like the women that have inspired her throughout her career, she leads with passion and her story embodies a powerful, timeless aphorism: your work is to discover your work and then, with all your heart, to give yourself to it. Deborah Brenner is doing precisely that. To learn more about how to make positive changes for women in the wine workplace visit Women of the Vine & Spirits and Women Behind the Wine. Brenner’s deep passion for and experience with increasing the role of women in the industry made the Women of the Vine & Spirits Foundation the obvious choice to administer scholarships that will culminate our new Women Behind the Wine campaign this year. Through this campaign, Wine Dialogues will celebrate successful women who play instrumental roles in bringing our Fine Wine portfolio to your shelves and tables. It’s a perfect match as both organizations seek to spread a message of change and opportunity. Scholarships will range from defraying college costs in related fields to supporting continuing education for women already working in the industry. To see if a member of your staff may qualify, ask your representative to be notified when applications open.